It’s fitting that the kickoff for Content Marketing World is at the Rock and Roll Hall of Fame. This year’s speakers and workshop leaders are rock stars of the industry. Each one has a solid back catalog of hits; together, they’re a content marketing supergroup. So for those about to rock, we salute you. Team TopRank (Alexis, Ashley, and Josh) will be bringing you highlights, insights, and takeaways throughout the event. Keep an eye on the blog if you can’t make it to the big show, and if you’re here, please seek us out. Content marketing is creative work, but even the most creative content can be more effective with the right technology to back it up. RazorSocial Founder Ian Cleary combines a tech-head’s knowledge of marketing tools with a genuine passion for quality content. He promises tools and tips aplenty for his session, as well as action items to take home and put to work. Developing personas is a vital part of understanding your audience, so that you can create content that speaks to their specific needs. What role do personas play after your campaign has begun? Marketing Interactions, Inc. CEO Ardath Albee is a persona pioneer; she has years of experience and has experienced incredible success using personas across the marketing funnel. Her presentation focuses on creating context, increasing relevance, and forming a deeper connection with potential buyers through personas. In today’s world of the empowered prospects, content marketing is at the frontlines of prospects and customers. This shift in power, has changed the role of the sales team. While their role has evolved, there is an opportunity for teams to continue to amplify the impact of content marketing on sales team success. Jeff Herrmann, Partner and Chief Revenue Officer at Fathom, is a champion of B2B sales and marketing alignment. He focuses on leveraging content, data and technology in order to help companies and individuals accelerate growth. Measuring the impact of social within your content marketing strategy can be tricky. Although traditional digital marketing KPIs and algorithms are at play, the setting and methodology is unique. Marketing manager at Lenovo, Erin Monday, plans to deliver a session that will reflect on and apply “traditional” SEO algorithms to social in order to maximize content marketing success. SEO is an essential piece of any effective digital marketing strategy. When used correctly, it can help attract your best customers to your content. However, if you already have the SEO basics down, this session will take a deep dive into some powerful tactics that will give your search traffic the boost it needs. Rand Fishkin, otherwise known as the Wizard of Moz promises attendees an SEO journey that takes a look at some of the lesser-known and use-case-specific tactics. In today’s world, everyone has the ability to become a content publisher. That means that the battle for customers has become increasingly fierce. Unfortunately, all of that great content often falls flat if marketers cannot measure its success. 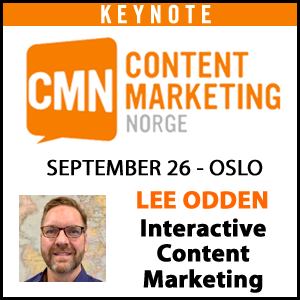 Content marketing mastermind and all around great guy Michael Brenner of NewsCred will help break down a seemingly complex idea into some actionable ways to build your own content marketing strategy. 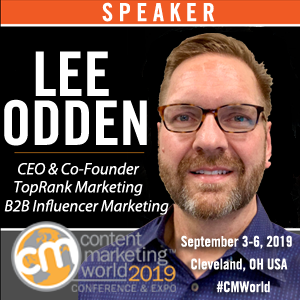 There are so many great speakers and topics at Content Marketing World that it was hard to choose just a few to feature. 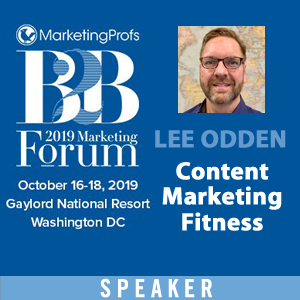 TopRank Marketing and Content Marketing Institute also combined forces to bring you a content marketing triple feature in the form of three eBooks filled with advice from Content Marketing World speakers that cover everything from content strategy to measurement. 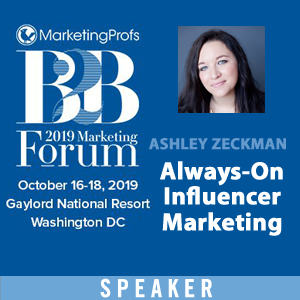 Keep your eye here on Online Marketing Blog for coverage of the presentations as well as Instagram, Flickr, Pinterest and Twitter @TopRank.